As of late, the Lord has put me on a weekends only sabbatical; for two consecutive weekend now I have been directed to stay home or partake in activities where I can worship and rest in Him. Since I am unable to take time during the week due to my hectic work/life schedule, He has led me to accept now that my body has healed from the injuries which weighed me down – mind, body and spirit – it is now time for me to rest in Him for a spell. This doesn’t mean lazy days, it means allowing His direction for my time to take priority over anything else. It means (if possible) getting errands run during the week so that my weekends are clear to carry out His will, while also taking time to worship God in all I do. It means shutting myself off from much of the “world” including refraining from church services. This, much to the chagrin of my pastor I’m sure, because he asked me to sing during our Acts of Worship service on July 30th and I had to decline. Declining an opportunity to sing unto the Lord before the body, leading them in worship, is a big deal for me. But I must go in the direction the Lord is leading, instead of allowing myself to be pulled every which way. There has been a lot happening in my little God vacuum as of late. God is moving and I have to truly press into him in order to sit still and hear, see and taste, both what He has for me as well as what He does not intend for me. There have been new God connections and God disconnections, meaning not allowing people in who desire entrance into my life (or, in one case reentrance). He’s had me working diligently on creating boundaries with people for a couple of years now, and this was a test to how far I’ve come for certain! I praise Him for quick and clear direction (once I was not distracted by outside noise) in this situation! But I praise the mighty name of the Lord for the new connection with a sister in Christ. He revealed the purpose of putting me in her path, and how it is an answered prayer. I love answered prayers. It is a Holy Spirit led sister-ship we both recognized is appointed by God and how the relationship benefits us both, for His glory. 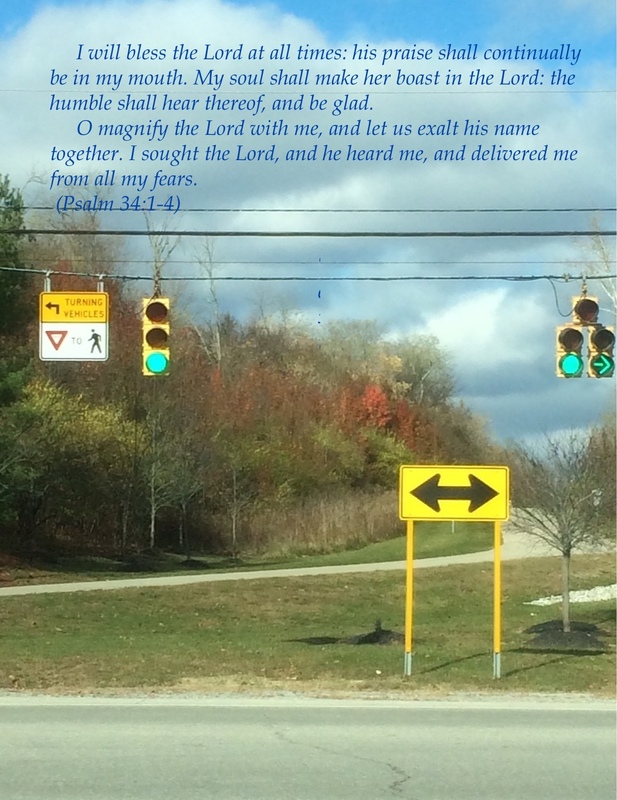 Another reason to praise His name: a sizable and unexpected blessing I immediately believe was His gift for my obedience in moving forward as he directed. Thank you, Abba Father! Nothing brings more joy, more love, into my heart than being used as a vessel of the Lord, in the life of someone in need of His grace and mercy. Another God connection made a while back led to his using me to minister to a person late this week, in the territory He has steadfastly reassured me I’m being moved to. Receiving constant confirmation helps me stay in alignment with the vision God began giving me in late 2016 for The Potter’s Clay Cafe. He is encouraging me in his own way, a way He knows I will receive, hear and carry out. For a while I felt very cynical about the world, about ministering to the lost. I know I am not alone in this as I have several close brethren in the same place. We’ve been interceding on one another’s behalf for our spirits and hearts to be stirred up again. I am so grateful to be finding that passion in a fresh way. It certainly gets difficult to want to be out in the world a) when so much is coming against you, or b) you are simply done with this world and longing for His return. God understands! He hears us and knows us. But he cannot constantly rain down favor and visible signs upon us because then we’d never have reason to seek His face, to go on sabbatical with the Lord or just simply be still and know (trust) that He is God. We have to find our motivation through prayer, fasting, meditating and believing what He has shown us will come to pass. That our dry seasons will end, rain will return to the land and the fruit will hang low on the trees, before our eyes. All for HIS glory! Ironically, this has been the driest summer season we’ve had in two years here in SW Ohio. The ground has been so dry, the grass is like straw and turning yellow. I couldn’t bear it any longer, so a week ago I began praying for rain. I began praying for His divine rain not just for the land but in life once I was in this time of sabbatical. Lo and behold, He opens up the heavens and rains down on me and the land, a fervent rain. A downpour of blessings upon my life since a week ago yesterday (Saturday, July 21) and a literal downpour on the land that has lasted for three days. Prayer: Father God, you are a mighty wind that blows across the land and pushes the dirt around, just as you are a mighty force that pushes these vessels of life called humans around, from place to place. I am eternally graceful for the gusts of wind you blow into my life which move the dirt aside enough for me to see what lies beneath the surface, enabling sand encouraging me onward in this Faith Walk with You! Thank you, from the bottom of my ugly human heart, thank you. I am utterly amazed with the rains you have poured down, after my pleading prayers, that cleaned out this broken heart and soiled soil, to make me a usable vessel. For Your purpose alone, I live. For Your purpose alone, do I keep seeking more, wanting more, of You. Asking for anything blocking me from You to be revealed and redeemed. For less of me always results in more of You. For this I am a most humble and grateful servant and I praise you for all. To God be the Glory for any life in me. Amen!